A wanted man has been arrested and charged with several offences, including assaulting a police officer with intent to resist arrest in Worthing, police confirmed. Jessie Burbridge, 22, was detained by officers in Hangleton on Saturday (9 June). Burbridge was wanted for an assault, criminal damage and escaping lawful custody in Worthing, and an assault in Brighton, police said. He was taken to custody and has now been charged with assaulting a police officer with intent to resist arrest in Worthing (April 6), causing criminal damage to a car in Worthing (April 6), escaping from lawful custody at Worthing (April 6) and assaulting a police officer with intent to resist arrest in Hove (June 9), police said. 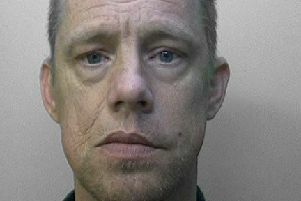 Burbridge was remanded in custody and was due to appear before Brighton Magistrates’ Court today (Monday, June 11).